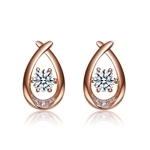 Diamond Essence carries the most high quality designer gemstone earrings for women. 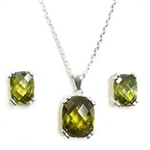 Whether you want simulated diamond earrings, studs, dangling gold earrings, platinum gold or a range of beautiful gemstones, we provide all of the most beautiful styles and prismatic colors. 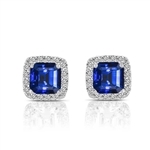 Our collection of gemstone earrings for women includes all of the different designers that have made some of the most essential and unique earrings. 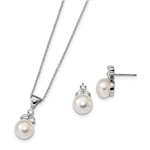 We carry drop earrings, statement earrings, chic earrings, gemstone, modern styles, pearl earrings, cross earrings and many other simulated diamond earrings for women. With fresh looks and new releases, our collection consists of the newest and most popular designs for an affordable price. 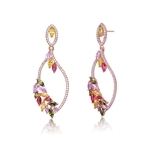 Designer gemstone earrings by Diamond Essence are just the way to set off your new dress or add to a perfect hair style. Whether you love bold statement earrings or something delicate, we know that there's something in our designer collection for you. 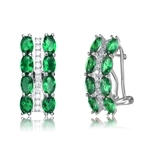 If you have been waiting to find these looks at an affordable price, we offer you a dozens of different earring options. 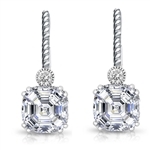 When looking to buy designer earrings, contact us toll free at 1-800-909-2525 or email at info@diamondessence.com. Free & fast shipping available!